We are living in a world where you can find pollution, dirt, chemical products and all the other things that can harm your hair and as a result hair fall. So have you ever thought on How To Prevent Hair Loss naturally? I am sure you must have tried all the latest products such as shampoos, conditioners, anti hair fall tonics and all the other such useless products that cannot prevent hair fall but on the other hand it only worsen the damage. 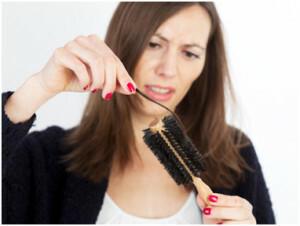 Its about time you should think ways to treat your hair naturally and stop hair loss. The mother nature has many natural ways through you can stop hair fall and you can save your money than to spend it on expensive parlor treatments. Follow this Health Guide which provides Tips on How To Prevent Hair Loss Naturally. You can use any of the natural oils like olive oil, coconut oil, canola oil etc. all you have to do is just heat it up a little and make sure it is not so hot while applying just warm enough. Using your finger tips massage gently into your scalp. Once done you can cover your head with a shower cap and allow it to stand for an hour and after that wash your hair. Natural juices also play a major role in preventing and reducing hair fall. In order to reduce hair loss you can rub your scalp with some of the juices like garlic juice, onion juice and ginger juice. Once applied and rubbed you need to leave it on your scalp overnight and you have to wash it scrupulously in the morning. Getting a head massage on your scalp for few min. daily can help in stimulating circulation. As a result of circulation in your scalp, it keeps hair follicles active all the time and hence reducing hair fall. You can improve the circulation level with the use of few drops of lavender or bay essential oil in an almond or sesame oil base while doing massage. Green tea is an awesome home remedy to prevent hair loss. All you need to do is to apply a warm green tea on your scalp. And once applied you have to leave this mixture on for an hour and after that you can rinse it off with water. The reason is that it contains antioxidants, which are a powerful means to prevent hair loss and increase hair growth. Now, the thing which I am going to tell is no where near to any natural or home remedy. It is a form of mental exercise so called meditation. Yes, you heard it right meditation can help to reduce hair fall. As the root cause for hair loss is stress and tension which can be reduced with the help of practicing mediation daily.